First Name Only~Proven and Accurate! SALE TODAY! 18 yrs.~Popular, gifted psychic! Accuracy and honesty in: Love/Soulmates, Life Path, Career, $$$, Soul Purpose. Tested, gifted, and proven! Fast typist! 15+ min callers rcv mins! Psychic from birth, I have been a top rated, popular, online psychic advisor for the past 18 years, and on Keen.com since 2007. I am born under the sun sign of Libra, which gives me a very balanced perspective in interpreting your energy or the energy of anyone you ask about, providing you with all the facts you need to make good choices and decisions in life and in love. My Psychic gifts have been developed over many years using various modalities such as meditation, learning and sharing via master psychic teachers, gifted astrologers, tarot readers, and other spiritual mentors. I am tested, proven, certified, "authentic." I am a consistently "5 star" reader with repeat clients around the globe. Utilizing my highly attuned and accurate Spirit Guides, the Tarot for clarity/details, and Astrology and Numerology when appropriate, my readings are highly personalized and full of specific details other advisors may miss, getting to the heart of all you need to know to experience more fulfilling relationships and a more rewarding life. I specialize in Soulmate Readings, New Love (thoughts/feelings/intentions), and Healing from a Lost Love or Broken Relationship so you can prepare for a better love experience for the future, Career/Business and Financial matters. I can provide guidance and tools for making the most of your spiritual walk and your highest life journey. Enchanted Enlightenment has been a user of Keen since 2007. 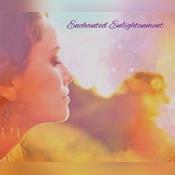 Getting Spiritual Readings advice from Enchanted Enlightenment through www.keen.com is safe, secure and confidential.